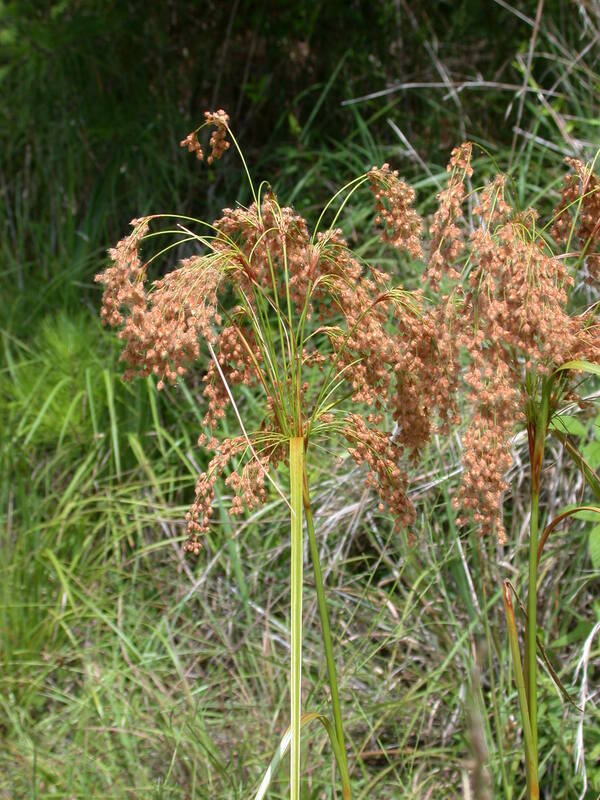 Scirpus cyperinus.Mac H. Alford.www .plantsystemarics.org (Accessed 6/2014). Scirpus cyperinus is perennial, C3 sedge (Bryson and Carter 1977) to 2 m tall; clumped, forming dense tussocks from short, tough rhizomes; stems upright, sparsely colonial from short rhizomes. Leaves alternate, linear, 0.3-1 cm wide, bright green, rigid, basal leaves apparently resprouting in late fall, semi-evergreen (Gargiullo personal observation); base of leaf sheaths green to brown; inflorescence bracts leaf-like, unequal, tips drooping. Habitat: Open freshwater marshes, wet, low nutrient soil, pH 4.8-7.2 (USDA, NRDC 2010). Notes: Stems and roots eaten by muskrats (Martin et al. 1951).